Hamilton, OH: The Beckett Paper Company, (1928). 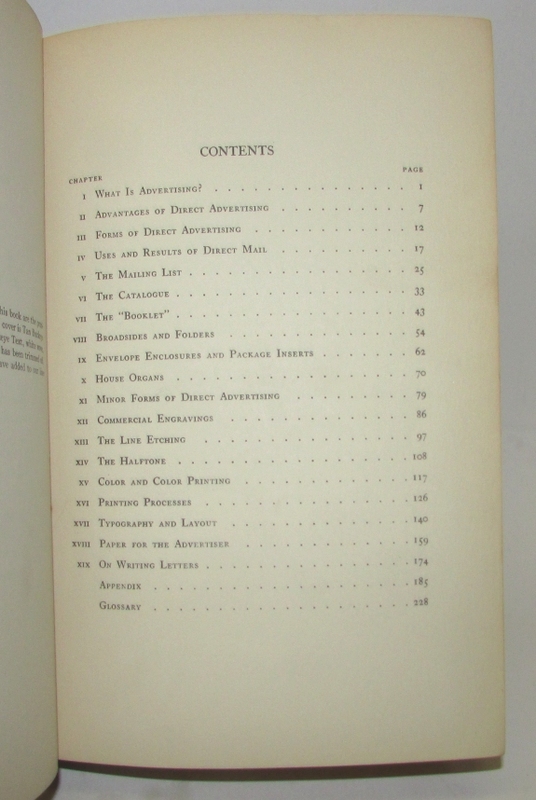 Third printing (first published 1925). 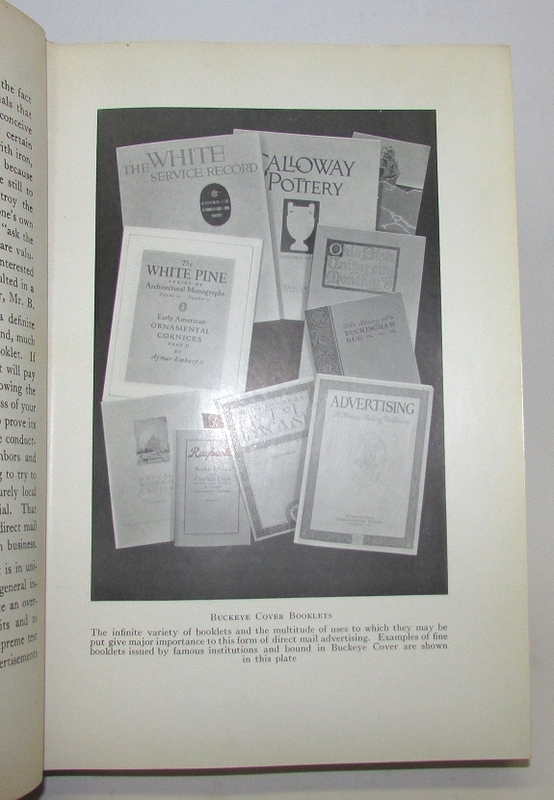 Tall 8vo., cloth-backed paper boards, printed paper spine label, (16), (1)- (244)pp. With illustrations. Some rubbing and soiling, very good. 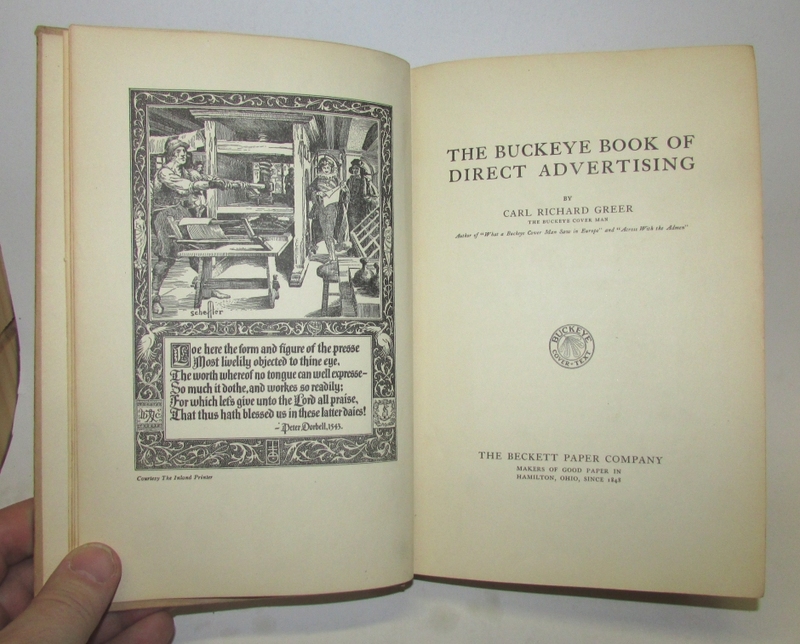 From the preface to the third printing: “…we may now say with confidence that it has taken its place as a standard work on the production and use of direct advertising. 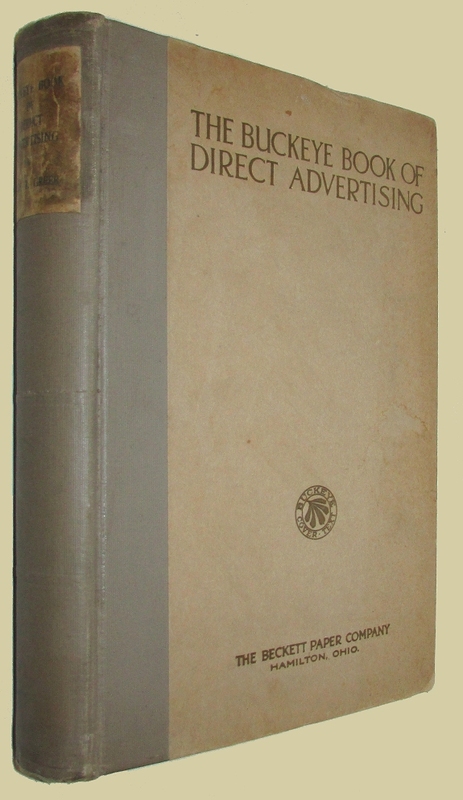 Its general use as a text in colleges and advertising classes is quite as gratifying as its adoption as a working manual and book of reference by the printing and advertising communities of the nation, and of other English-speaking nations.” Chapters include “Advantages of Direct Advertising”, “Uses and Results of Direct Mail”, “Commercial Engraving”, “Color and Color Printing”, “Printing Processes”, and “Typography and Layout”.